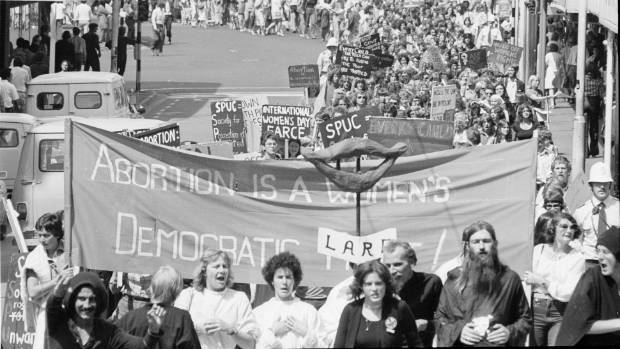 We have officially had 40 years of the Contraception, Sterilisation, and Abortion Act. How do you like it so far? That’s forty years going through the degrading process of getting the approval of two random certifying consultants in order to give effect to your own decision about your own body. And if you don’t get their approval, your life will take a very different turn – you will become a parent when you’re not ready. That’s 40 years of certifying consultants acting as a law unto themselves, mostly in the interest of increasing access to abortion. But sometimes having that much power over others turns out less well, like in the case of the consultants at the Waitemata DHB, who unilaterally decided 20 weeks gestation was too long, 18 weeks was plenty. That’s forty years of having to lie about your mental fragility, and impugn your own mental health, because the alternative involves sickness, fatigue, and financial stress, not to mention childbirth. Forty years of stressing over saying the right thing to get what you need. Forty years where your alternatives were to lie, or to suffer. That’s forty years of surprise lectures from your GP about how irresponsible you are, how you are a bad person for refusing to fulfil your biological destiny at the drop of a hat. Or maybe your GP just empathetically explaining how they are not judging YOU, it’s just that THEY can’t bring themselves to do something so morally repulsive as refer you for an abortion. But no judgment. That’s forty years of the law treating you like second-class citizen whose uterus ultimately belongs to the state. The law will decide whether or not you fill the cradles of the Empire. Ask your husband to explain that to you. I’m thinking we can do better. Let’s change the law. More on that soon.